What is it about Puccini? Puccini's operas are some of the world's most loved. We look at what makes his music so appealing. First, there are his marvellous plots, full of attention-grabbing action and interesting character development. Puccini's sense of dramatic pacing is always immaculate (his operas never feel too long or too short) and he was a master of stagecraft. There's plenty of variety to enjoy as well: Puccini took a different dramatic approach with each opera. Tosca has all the elements of a thriller. Manon Lescaut is an iconic drama of doomed romance and La fanciulla del West has a cinematic grandeur. La bohème is a realistic, sometimes witty, sometimes very moving depiction of the life and loves of a group of poverty-stricken young artists. Madama Butterfly explores the dark side of colonialism through the story of an exploited Japanese girl, while Turandot transports us to a dark fairytale world where a mysterious stranger teaches the meaning of love to a cruel princess. There are also Puccini's wonderful characters. Each of the bohemians in La bohème is a true individual, from the romantic dreamer Rodolfo to the bookish and taciturn Colline. 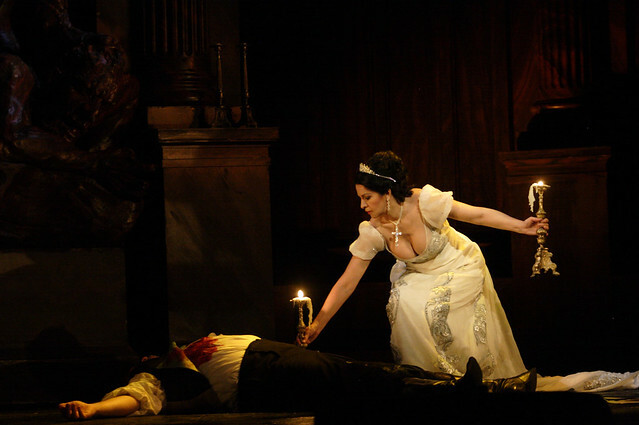 Tosca’s Scarpia is one of the greatest of operatic villains – while Tosca herself, with her jealousy, courage and passionate love for Cavaradossi, is one of the most complex of operatic heroines. In Madama Butterfly we watch Cio-Cio-San mature from an innocent young girl to a dignified, tragic woman. The cunning hero of Gianni Schicchi is one of opera’s great comic creations. And in his final opera Puccini explores the nature of power and the survival instinct through the characters of Calaf, who knows no fear, Liù, who dies for love, and Turandot, the ‘ice princess’ who swears that no man will possess her. Puccini had a knack for picking a good setting for his operas – Paris, Rome, Nagasaki, California, ancient Peking. And how well he brought these places to life! 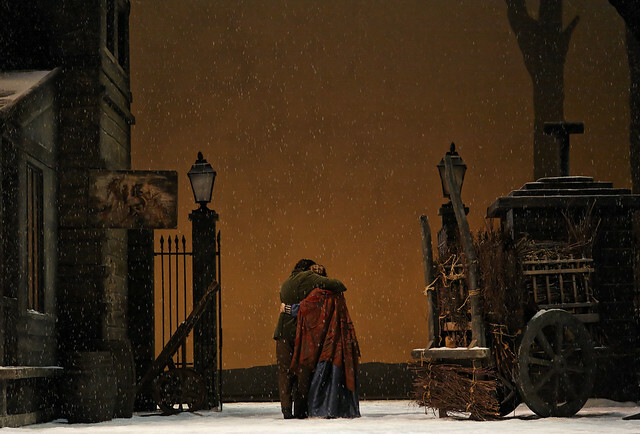 Even Debussy – not a Puccini fan – claimed no one had depicted 1830s Paris as vividly as Puccini in Act II of La bohème. For Tosca, Puccini went to great lengths to create a grand and – to some extent – historically accurate church service to end Act I, and he stood at dawn on the battlements of the Castel Sant'Angelo to find inspiration for the tolling bells that open Act III. 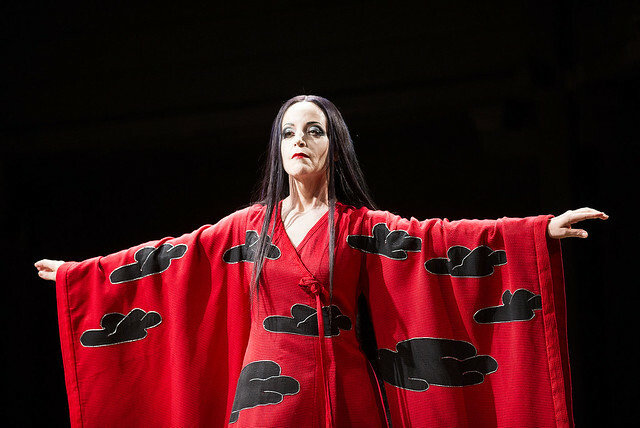 Madama Butterfly transports us to Japan through the use of traditional Japanese songs. 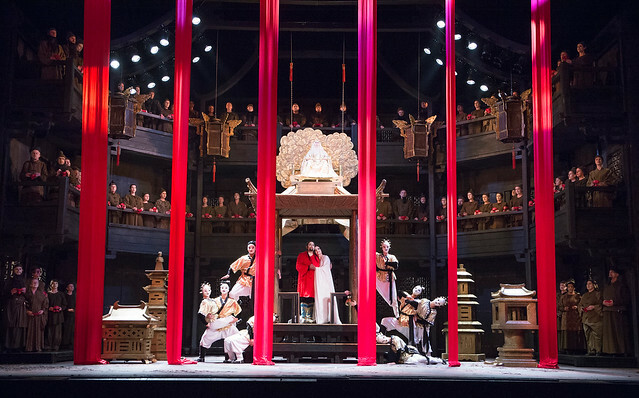 Puccini also studied Chinese music to create the oriental flavour of Turandot. And in every Puccini opera there's also a host of wonderful evocations of stage action, such as the 18th-century pastiche dances in Act II of Manon Lescaut, the out-of-tune barrel organ in Il tabarro and the falling snow at the opening of Act III of La bohème. Finally, there's Puccini's glorious tunes. Not only are his arias and duets beautiful to listen to, but they also capture perfectly his characters' emotional states. What could more powerfully represent falling in love than Rodolfo's 'Che gelid manina'? Or sexual magnatism than Pinkerton's seduction of Cio-Cio-San in the duet 'Vieni la sera'? Or despair and desperate appeal than Tosca's 'Vissi d’arte'? And in Turandot there's a host of marvellous arias, including Turandot's fiery 'In questa reggia' and Calaf's heroic 'Nessun dorma'. Do you enjoy Puccini's operas or are you immune to their charm? Let us know what you think. Turandot runs from 5 July–16 July 2017. Tickets are still available. Saw my first opera at 16 in Verona, Manon Lescaut, with an up and coming 29 year old Spanish tenor, one Placido Domingo. What an introduction to Puccini, but Tosca and MB are my favorites. I saw yesterday the première of Puccini's Turandot performance at the ROH. There are no words to describe how this evening will remain in my memory as one of the best I have enjoyed in an opera house. The singers, the orchestra, the dancers were in an excellent mood; I was really travelling in China of ancient times. I tried to stay focus so I can enyoy each musical note and phrase. It was absolutely exquisite. My sincere congratultions !!! Such uplifting music and the staging! Just love Turandot-they shall not sleep... no I won't with this in my head. overrated, overpraised, over-cited as 'the' composer to start with. if i started w/him id never have become and opera fan. Would be really interested in knowing which opera composers 'floats his boat'. Perhaps verismo is just not his thing! Why is the Manon Lescaut Insights evening being held in the tiny Clore Studio and not in the more spacious Linbury which seems to be free that evening? I am a Supporting Friend but was unable to get tickets for this event last Thursday at 10.00am as it was already sold out. This would obviously be a very popular event for many people and it is a shame it will only be available to a very few. We hold Insights events in the Linbury Studio Theatre when we can but the Linbury is required for rehearsals as well as performances, just as is the case with the main stage. It may be that the event will be filmed - we will know closer to the time. I'm so excited that Turandot is returning to the Opera House in 2017. I first heard it as a child playing on my Grandfather's record player and was lucky enough to see it at Covent Garden nearly 20 years ago. This production is truely world class and its imagery, story and music is unbelievably compelling and captivating. Long may it continue to grace the stage. My husband is a great fan of Nessun Dorma, as a surprise I'm planning on purchasing two tickets for Puccini's Turandot tomorrow morning. God I pray they ain't sold out. Never been to the ROH before so I'm excited for live experience. Over 50 years ago my high school music appreciation teacher played the Act 1 love scene from Boheme for the class and It started me on a love of opera. In college, I studied Italian so I could better understand the words. Now, I have recently discovered Tchaikovsky's Eugene Onegin, and I'm taking an online course in Russian, again so I can better understand and enjoy Russian opera.